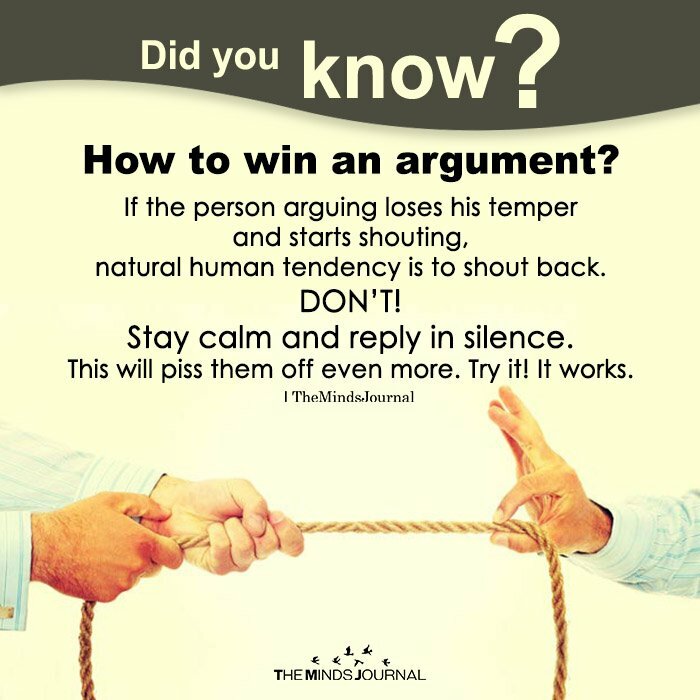 How to win an argument?. If the person arguing loses his temper and starts shouting, the natural human tendency is to shout back. Don’t! Stay calm and reply in silence. This will piss them off even more. Try it! It works.